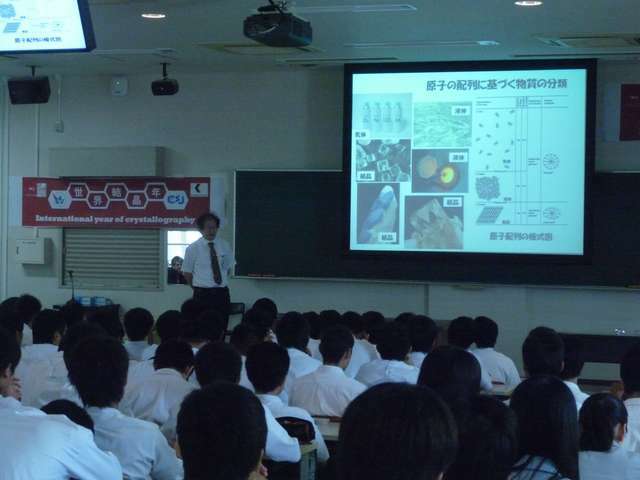 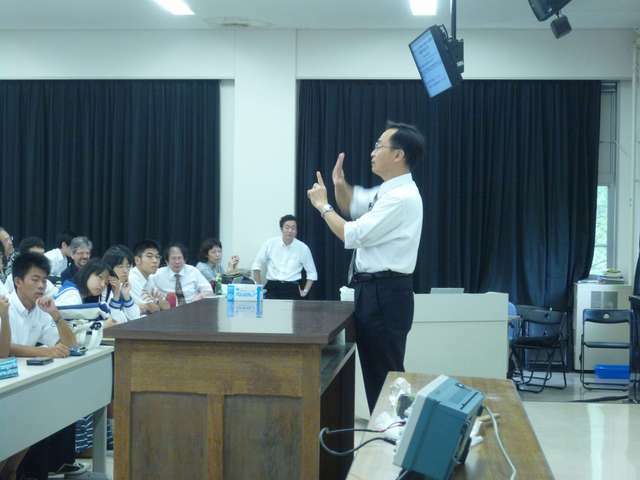 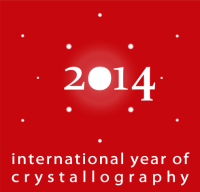 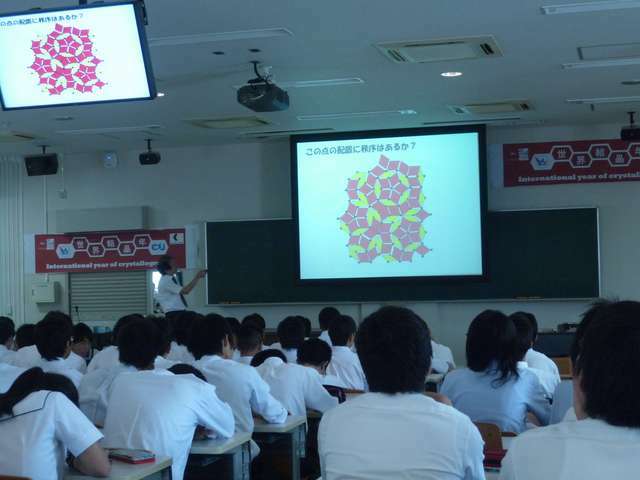 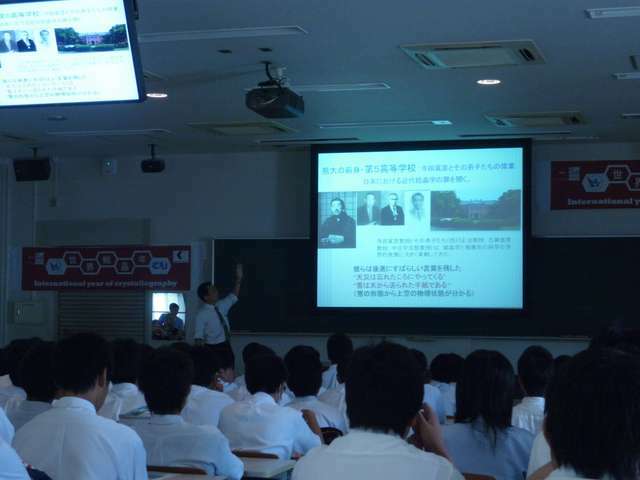 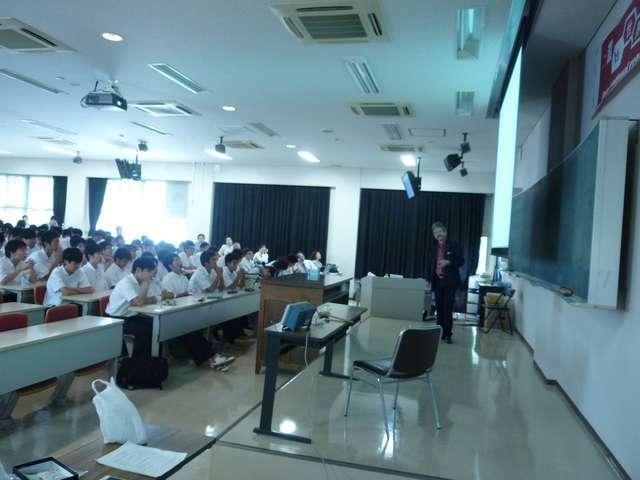 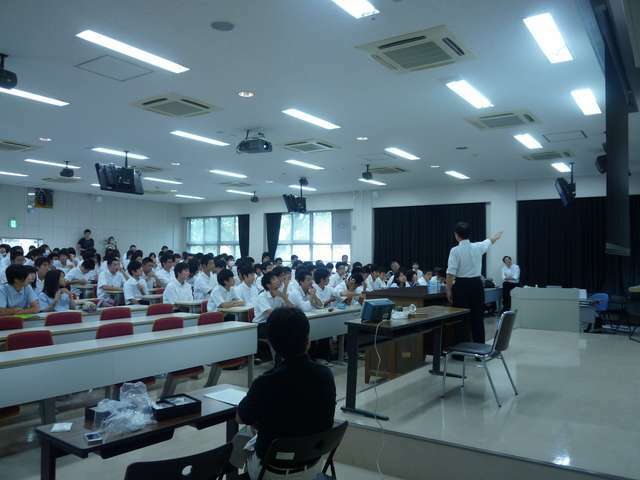 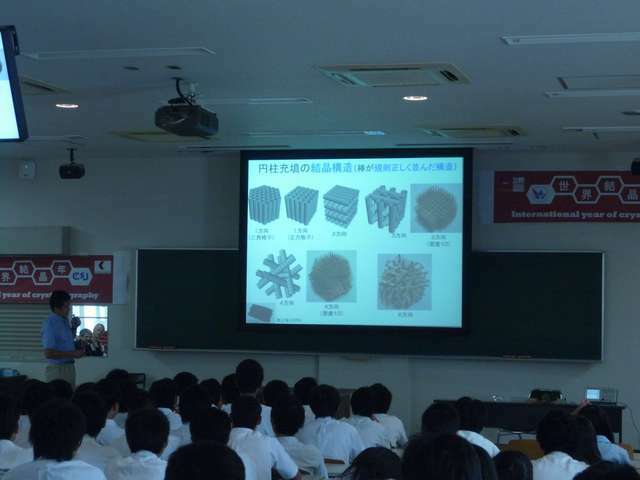 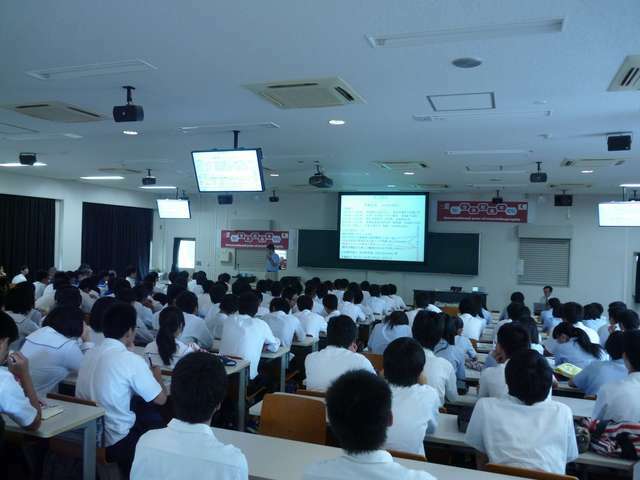 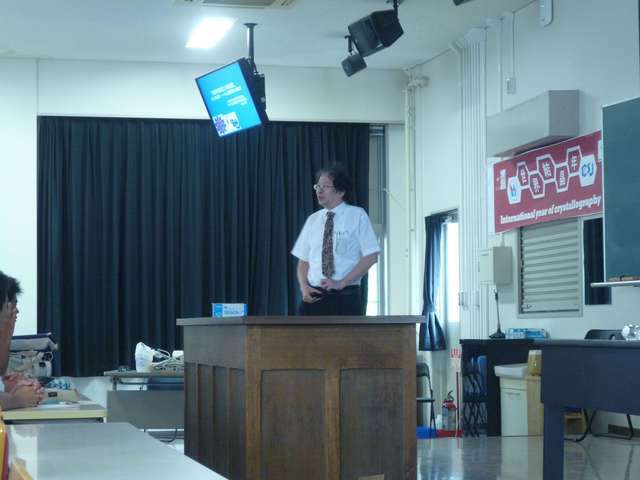 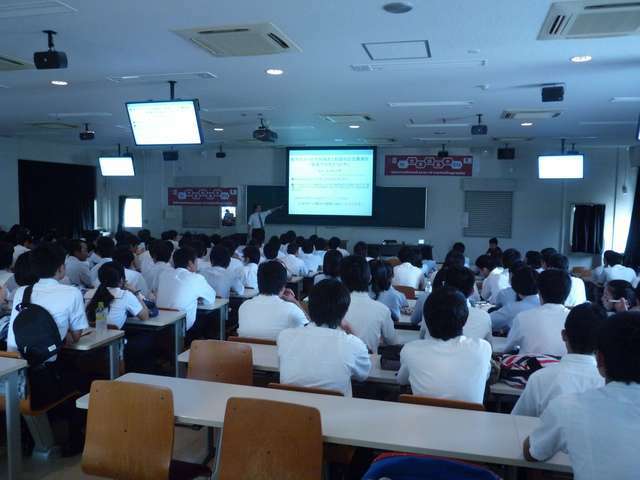 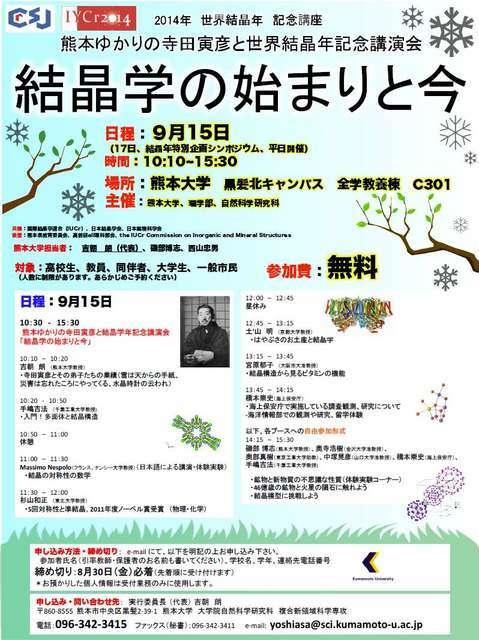 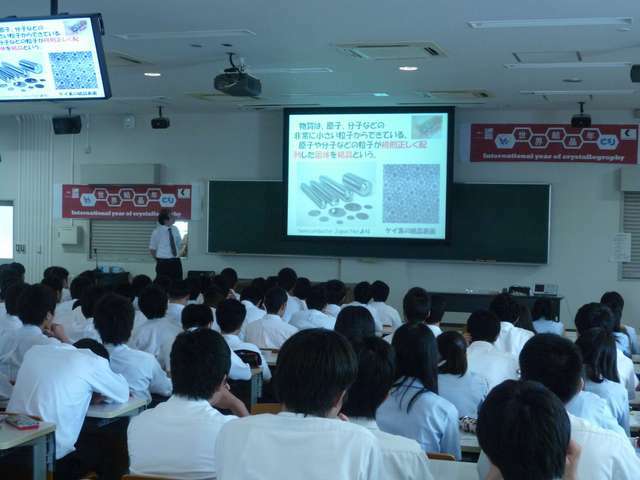 Following the success of the one-day special event in 2013, 'Crystallography Now and in the Beginning', the day was repeated at Kumamoto in 2014, the International Year of Crystallography. 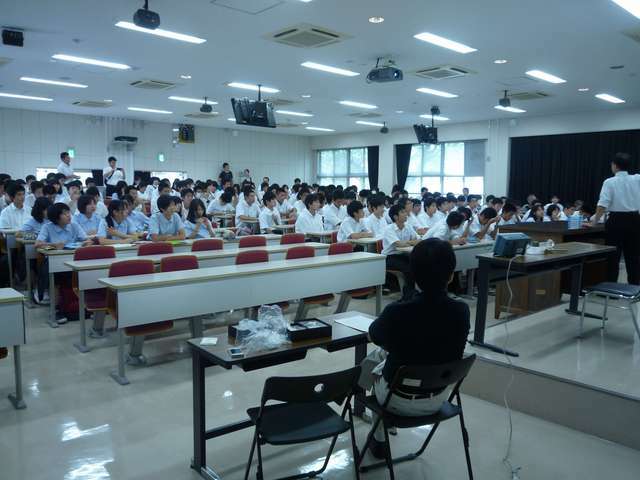 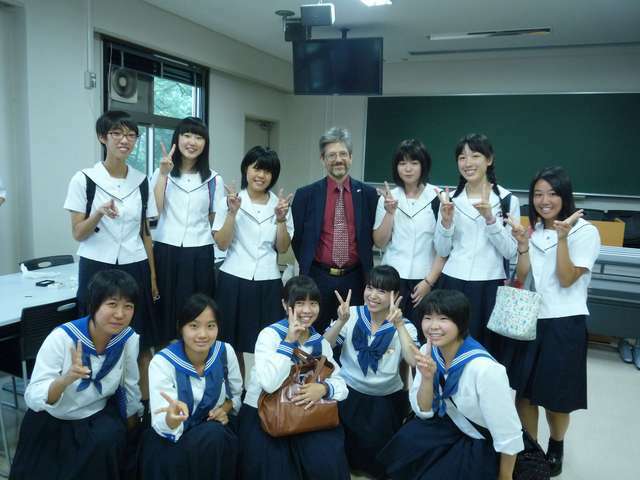 It consisted of public guest lectures and training sessions to celebrate the International Year. 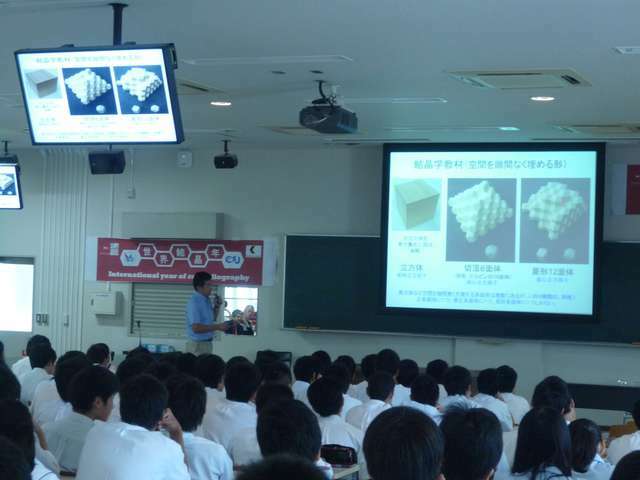 Many members of the public, mostly high-school students, attended a wide-ranging series of lectures and enjoyed practical sessions with crystals, wooden models, microscopes, and oscilloscope to test quartz piezoelectricity. 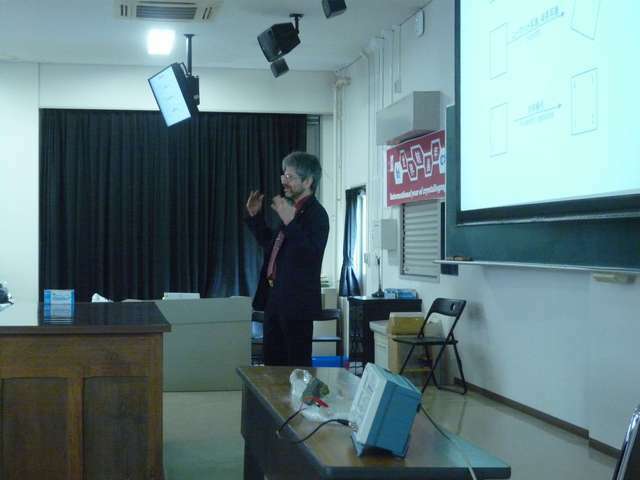 Introductory remarks by Akira Yoshiasa. 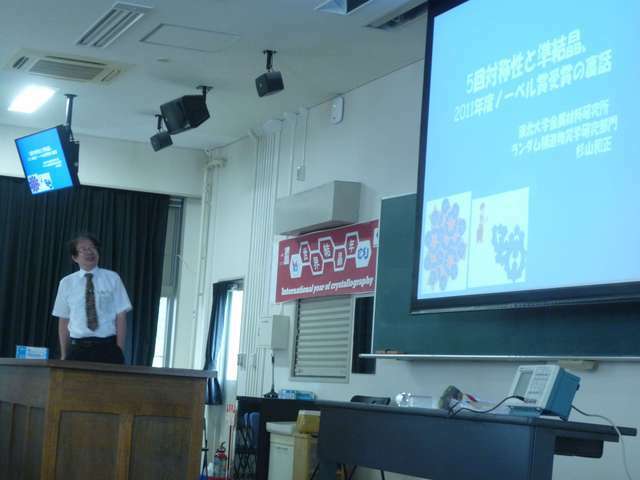 Akira Yoshiasa on the contribution by Torahiko Terada to crystallography. 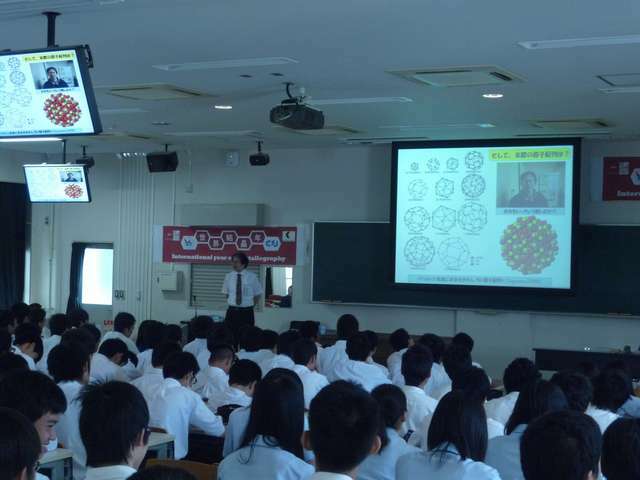 Yoshinori Teshima on polyhedra and crystal structures. 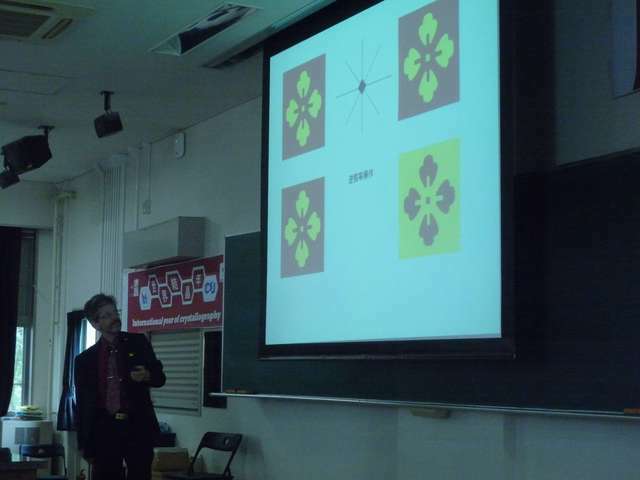 Kazumasa Sugiyama on five-fold symmetry.